The open cluster NGC 2100 shines brightly in new photo from the European Southern Observatory’s New Technology Telescope in Chile. A group of 15 million years old stars shines in a rainbow of colors from blue to orange. 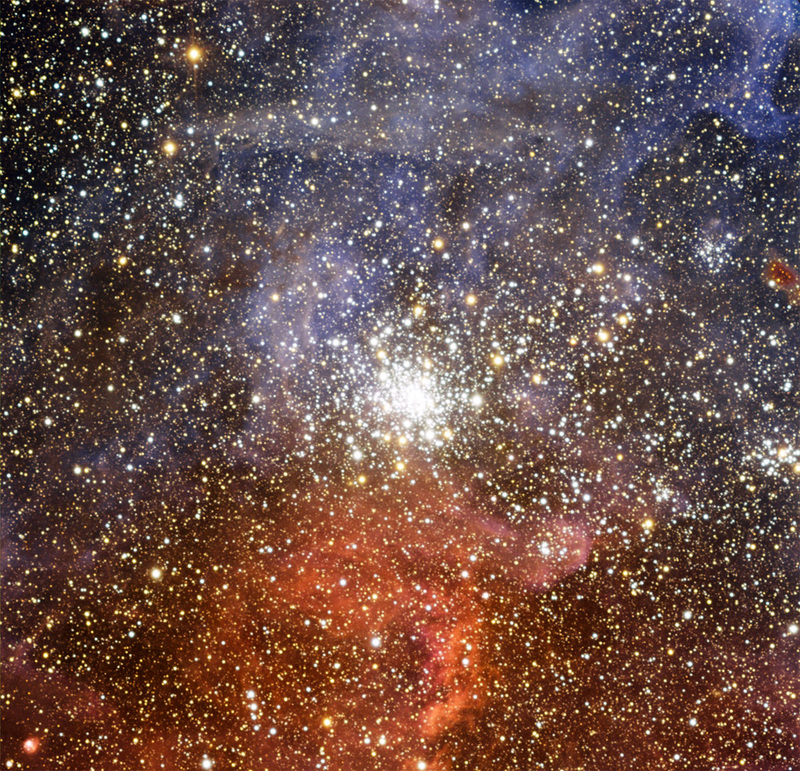 The stars, which are loosely bound by gravity in what’s called an open cluster, are part of the cluster NGC 2100 and stand against a background of spidery gas from the nearby Tarantula Nebula. The center of the cluster is dominated by massive, bright-shining stars, while lightweight stars tend to hover around the outer regions. The stars in open clusters such as NGC 2100 are thought to have formed at about the same time, from a single large cloud of gas and dust. NGC 2100 is located about 160,000 light years away in the Large Magellanic Cloud, which is itself a smaller satellite galaxy of the Milky Way.